Podcasts are poised to eat into radio sponsorships, says SXSW panel. Many listeners first heard of podcasts just a few years ago, when Serial’s dramatic investigation into the murder conviction of Adnan Syed became the favored topic of conversation at dinner parties and water coolers across the country. But marketers have known about podcasts for a decade. Now, the portable audio files that listeners can consume at their leisure are finally coming into their own as a recognized means to reach huge audiences. 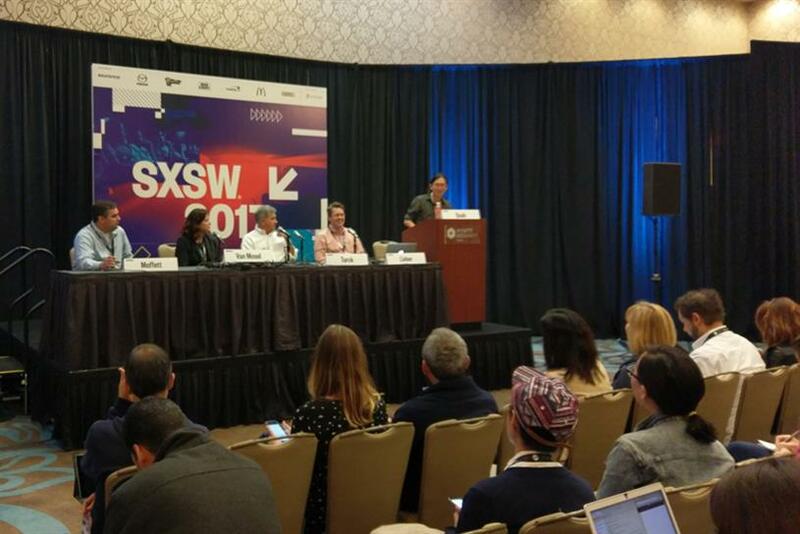 Podcast listeners are "a uniquely engaged category of consumers," said Nick Quah, founder and publisher at Hot Pod Media, speaking at the "Evolution of Podcast Advertising" panel at the SXSW Conference on Tuesday. In 2016, 167 million Americans listened to a podcast, averaging 5 episodes per week, Quah said. That number is expected to climb to 264 million by next year. "This is an audience that isn’t getting a lot of ads," said Sarah Van Mosel, chief podcast sales and strategy officer at Markey Enginuity, which secures corporate sponsorship for local public radio stations and the Public Radio Exchange. Seventy percent of podcast fans use ad blockers, and they pay for ad-free services like Spotify subscriptions. It’s a market that other kinds of digital media just aren’t penetrating, she added. "You can’t replicate it anywhere else." Because of their low exposure to ads, the podcast audience is also discerning—some might say picky—when it comes to the types of ads they hear. "The authenticity has to be there," Van Mosel said, and podcasts are perfectly suited to deliver. A typical podcast episode runs between 20 minutes to an hour and a half in length. Ads are short audio spots, usually running before the episode begins, in the middle of the content or right after it ends. But the ads themselves are often read by the hosts of the podcast, not simply inserted wholesale as a message from the brand. Audible, the audiobook seller, for example, encourages podcast hosts to add their own personality to a very general script. Hosts might suggest some audiobooks they’ve enjoyed recently before offering a digital coupon code for a free download to their audience. Listeners "feel like they’re in the room" with the hosts, said Matt Turck, chief revenue officer of Panoply, the podcast network for Slate Group. "You feel like they’re your friends." That translates to higher brand affinity, said Bryan Moffett, general manager of National Public Media, which connects corporate sponsors to National Public Radio stations and brands. "The NPR brand is about love. Listeners love NPR. They add it to their digital profiles. They get tattoos. That rubs off on sponsors." Think about the response to the adorably mispronounced ads for MailChimp that ran during Serial. Would audiences have loved the ad so much if it wasn’t running during an engrossing, intimate piece of media probably being piped directly into their ears? In addition to being effective, podcast advertising is also financially efficient, said Matt Lieber, co-founder and president of podcast network Gimlet Media. Podcast ads cost a fifth as much as radio ads to reach the same number of people, he said. "Radio advertising is an $18 billion industry." In comparison, podcast ads are "a drop in the bucket, but "dollars are going to shift, whether it’s this year or next year." The most obvious sign that the podcast market has arrived is the increasing interest from marketers. Moffett saw six-figure ads buys for podcasts for the first time this year. Lieber’s podcast sponsorships are seeing 90 percent renewal rates. "The most analytical of our marketers are spending more than they did last year," he said. The panelists also cited the rise of branded podcasts, the most successful of which has been GE’s "The Message," which hit No. 1 on the iTunes podcast list. (The series was created by Turck's Panoply and BBDO New York.) It didn’t blatantly talk about GE, but GE science was used to solve a science thriller," Turck said. "It got the next generation of thought leaders talking about GE in a different way." To be sure, there are still potential hurdles that must be overcome to help make podcasts a more predictable outlet for advertisers. There is currently little third-party verification of download numbers. While advertisers and podcasters have come to an agreement about what constitutes a "download," it’s difficult at this point to determine what counts as a "listen." Many podcast services automatically download selected podcasts as they are released, but it is still up to the user to play them. But Moffett was optimistic. "I don’t think the data problem is as bad as people say." Quah noted that even with those issues to solve, some projections say by 2020, the podcast ad market will hit $500 million. The way things are going, Lieber said, to nods from others on the panel, "$500 million is a low number."